Find out how exercising with your kids is beneficial for both of you. Running with kids might sound like more trouble than it’s worth, but it can be a fantastic way to both exercise and spend time with your children. Running is an activity that comes naturally to children – so harness their energy, and you might find yourself exercising more, growing closer with your kids, and having a great time as well. Take advantage of their boundless energy and engage with their imagination. Don’t be afraid to deviate from your route, jump over puddles, and be playful while you run. Try not to concentrate on timing your runs or competing too much with each other. Make the goal of your run easily achievable for both of you – it could be as simple as letting your child pick out landmarks in the park to jog to. "When it’s just the two of you, out there in nature without distractions, you might find that they open up to you more." Running can also be a great way to connect with your kids. If you’ve got multiple children who would love to run with Mum or Dad, try taking them out one at a time, if you can. When it’s just the two of you, out there in nature without distractions, you might find that they open up to you more. Boys especially can benefit from having a physical activity to concentrate on, and once they’re running, you’ll find the conversation starts to flow. Although kids are great running companions, it’s important that you don’t push them too far. Children are generally enthusiastic, but they can have trouble moderating their pace, especially if they’re younger. The way a child runs is different to an adult and exercises different muscle groups, and changes constantly as they grow, mainly due to the differences in height and weight. Some pediatricians recommend that children don’t run more than 10 kilometres at a time. Other organisations guidelines are more relaxed, but all agree on one thing – listen to your kids, don’t push them past their limit, and let them rest when they’re tired. 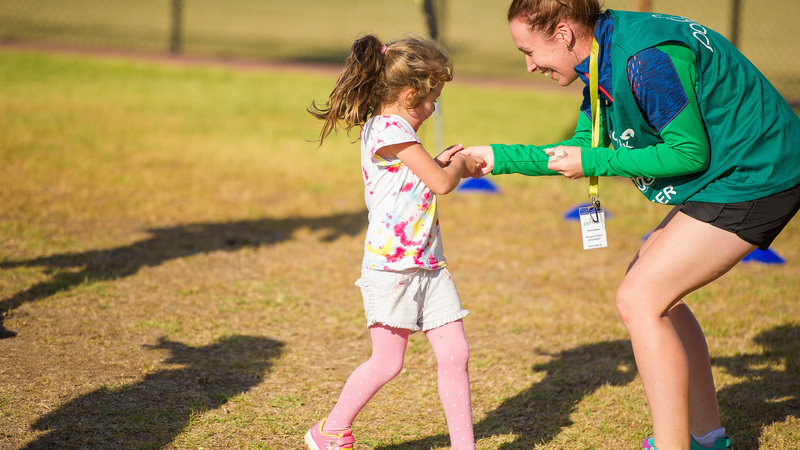 If you’re looking for an easy way to try running with your kids, parkrun is a great way to start. It’s not about beating times or winning races – it’s about getting out there, having a go, and being encouraged by other runners. Once you’ve had your first parkrun, it won’t be your last.